If you’re a Facebook user, you see these posts all the time “I’m Cinderella, take this quiz and find out which Disney Princess you are!” or “My favorite color is blue which means I should date someone who has a sense of humor and likes to go camping. Find out what your favorite color means!” As a generation, Millennials love their quizzes. (And just FYI, I’m Jasmine.) They’re curious about everything around them and love the instant gratification. Growing up with online instant messaging and on-demand television, you can’t blame this generation for nearly requiring companies to offer some sort of instant gratification to even grab their attention. Millennials were born between 1981 and 1997, making them within the ages of 18-34. This is a time when getting a good grasp of personal finance is extremely important. The youngest Millennials are heading into college and the oldest Millennials already own homes and have children. Many finance companies are struggling to figure out how to reach the Millennial generation. Millennials are skeptical of the finance industry because of the Great Recession and they view financial professionals as being too traditional. (1) As an example, if the financial advisor catering to them doesn’t have an online profile, you can forgettaboutit. No online reviews? Then no Millennial customer. One personal finance tool that is extremely important is life insurance. Now, the younger Millennials who are still relying on financial help from their parents and who have no dependents probably don’t have a need for life insurance yet, but all those Millennials who may be married or have children should own life insurance. Unfortunately, fewer than 20 percent of Millennials say they are very likely to buy life insurance. (2) The LIMRA (Life Insurance and Market Research Association) study this information came from also revealed that even though they are unlikely to buy, they know the importance of life insurance. Why the disconnect? 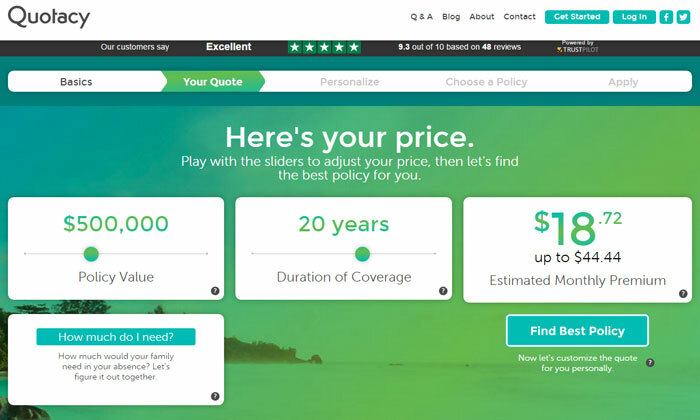 Quotacy is an online life insurance brokerage company set on breaking down this disconnect by helping modern consumers research, compare and buy life insurance. 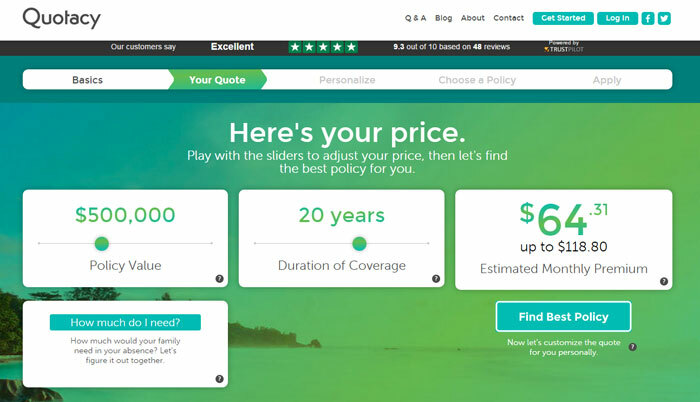 Catering to the instant gratification desires of Millennials, the term life insurance quoting tool at Quotacy shows you estimated costs instantly without requiring any personal contact information such as a name and phone number or email address. Also catering to the instant gratification desires, you can play around with different factors to see how they possibly affect the insurance costs. Perhaps you’re a smoker and want to see how quitting smoking could potentially affect your premiums. The two screenshots below show the different quotes between a 30-year old male who uses tobacco and one who does not. Another common factor is your weight. The tool allows you to instantly see how premiums may change based on losing or gaining a few pounds. Other factors include your heart health and family history. Millennials are a curious bunch and Quotacy’s term life quoting tool offers an opportunity to see how different health and lifestyle factors affect life insurance costs. Their blogs offer reasoning behind why certain factors have such an affect. Whether you’re a rock climber, have had some speeding tickets, use marijuana, struggle with depression, or have an interesting family health history, you’ll find out if, why, and how these factors (and more) play into life insurance. Once you get past the financial aspect of the tool, it really is just another quiz to learn more about yourself. You could easily share “My healthy lifestyle means I only have to pay $25 a month for life insurance! Find out how little you’d have to pay!” on Facebook with a link to the quoting tool. The plus side of this quiz though is the benefits that come from it for you and your loved ones. 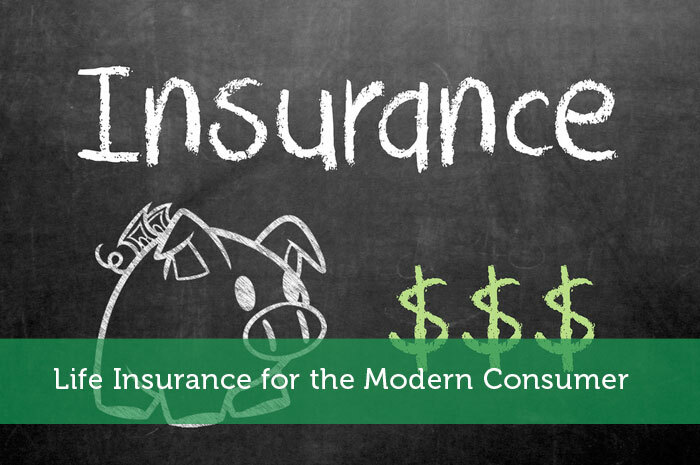 Now Millennials and other modern-day consumers have a no-pressure website they can visit to learn more about life insurance and determine how much and what type they need. There are friendly Quotacy team members you can call and/or e-mail to get more information if you would like as well. So what are you waiting for? Take the Quotacy quiz and find out how little you would need to pay to protect your loved ones from financial disaster in case of your premature death.